A family-friendly run benefiting the outreach work of Cedarbrook church along with our friends at Living Water International-a non-profit dedicated to bringing clean water to communities in need around the world. 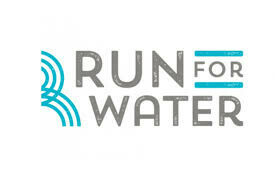 You can pre-register (cost includes a t-shirt) or register the day of the race. Registration opens at 8 am "slow" 5k begins at 9am 1 mile family fun run and 5 gallon water challenge-10am (In the 5 gallon water challenge, families can work together to see how difficult it is to carry water a long distance in gallon buckets, as many families around the world have to do every day to access clean water. Familes, office teams, and groups of friends are welcome to join!) Awards Ceremony-10:30am For more information about the race, email Kyle. (associate@cedarbrookchurch.net) or call 715-231-5433.